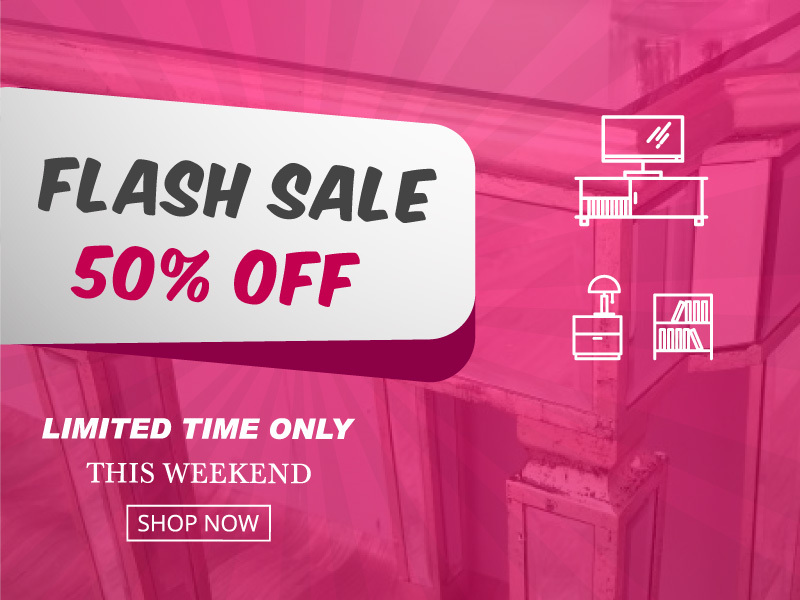 Flash sale this weekend only (1st-4th February 2019). Get 50% OFF selected items. This time we have a unique selection for you that includes beautiful wooden coffee tables with aluminium finish. Visit our store and check out all the items on sale. Don’t miss out. Our promotion will last only this weekend, so HURRY UP! 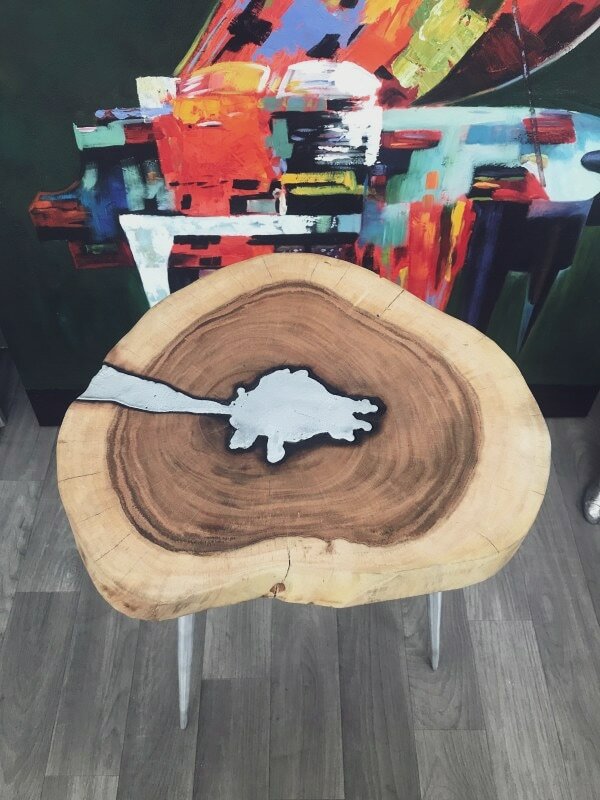 Very artistic end table made of natural wood with aluminium infil. Aluminium tapered legs. Our table is made of natural products and every one will be different acacia wood and aluminium. This unique kidney shaped table, can be used as a desk or dressing table. It has multi bevelled mirror panels with a 4cm diamante handle. 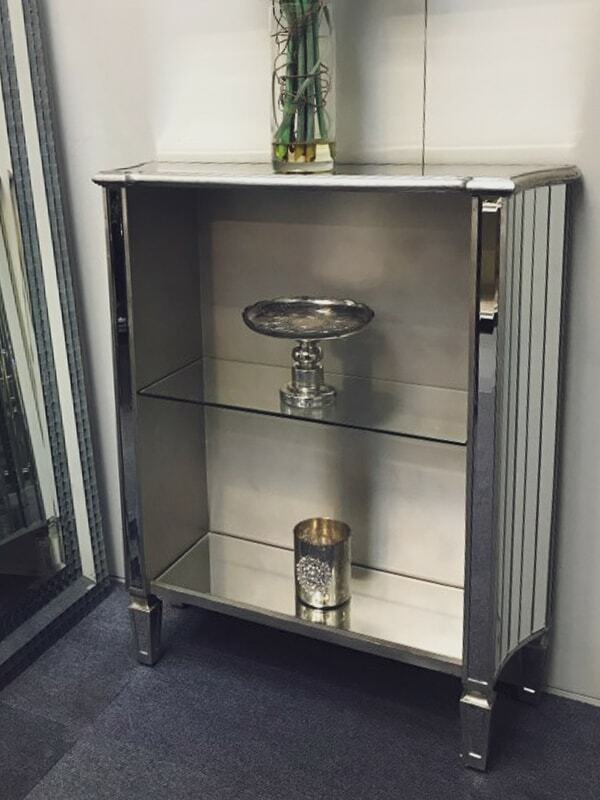 Lovely Vintage Mirrored Bookcase that includes two glass shelves. It has a vintage mirrored curved sides. 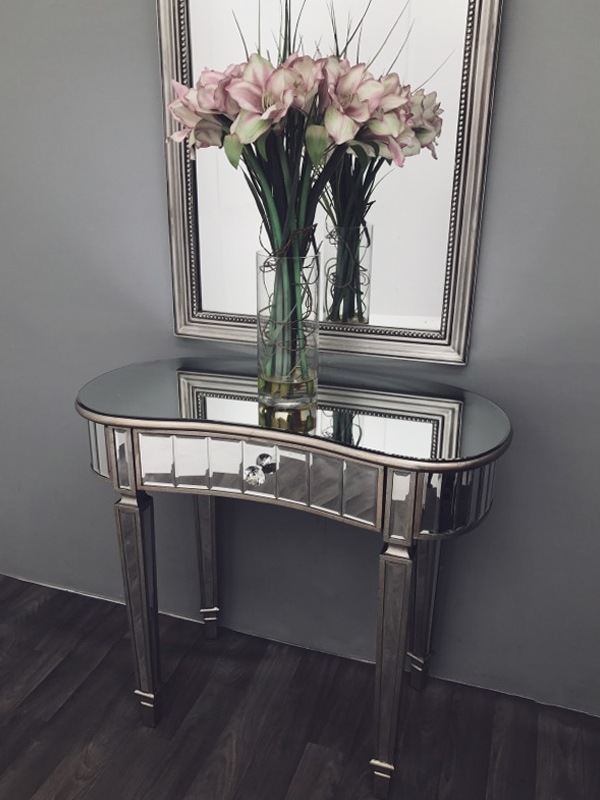 All mirrored parts are bevelled with an antiqued silver wooden edge.